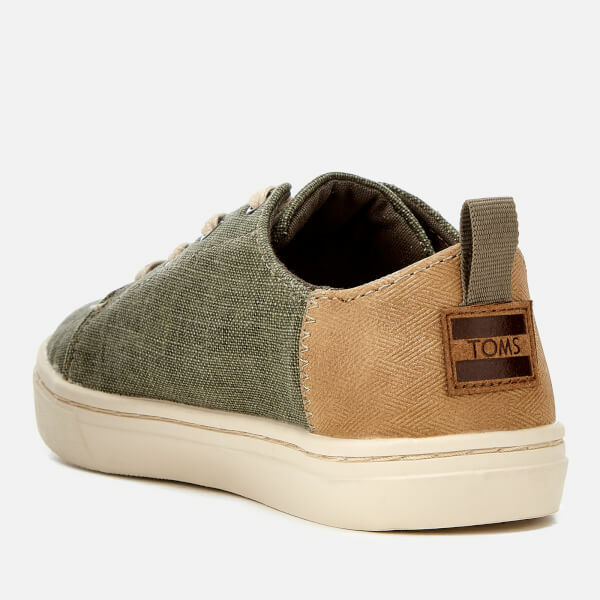 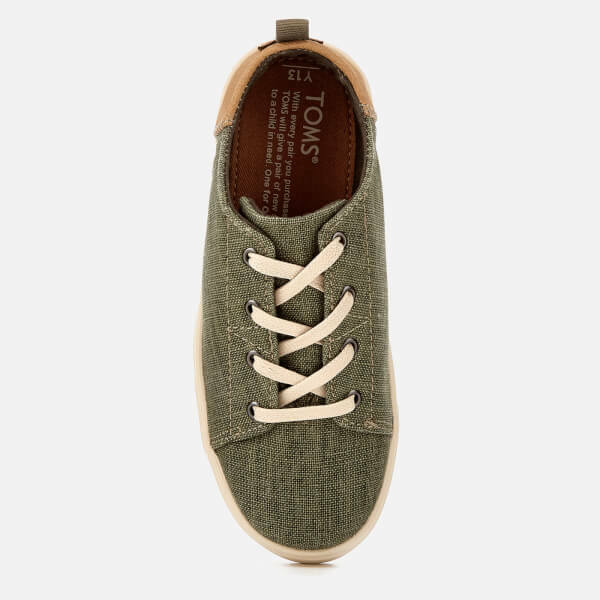 Kids’ green linen ‘Lenny’ low top trainers from TOMS. 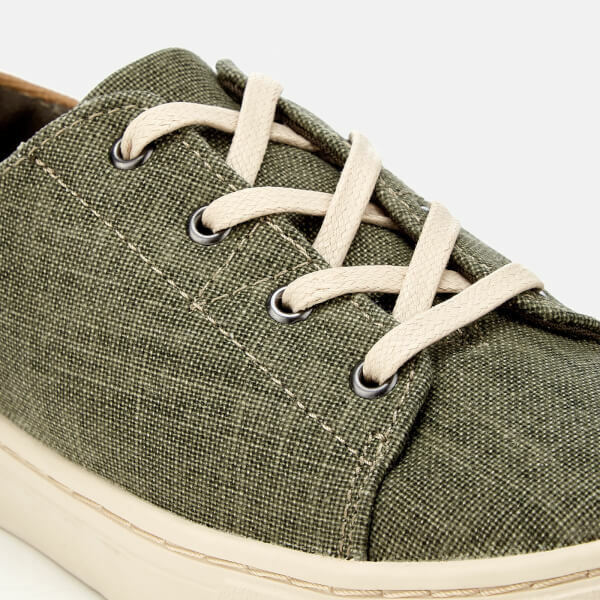 Based on the adult ‘Lenox’ design, the sneakers feature elastic tongue straps that enable the design to be worn without laces. 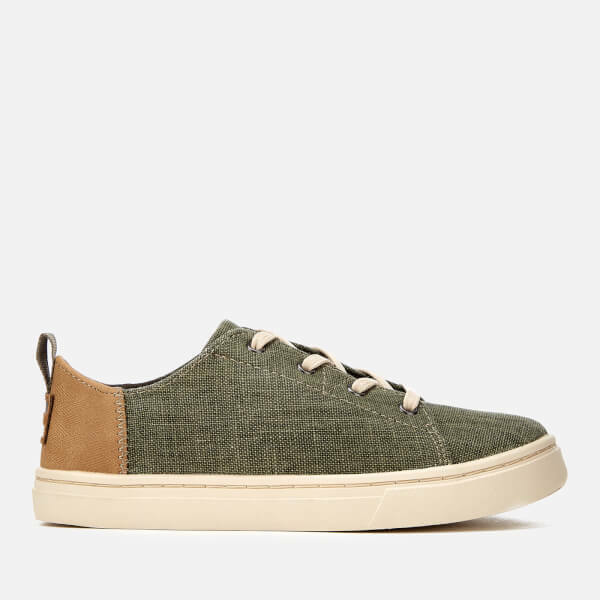 Set on a white rubber cupsole, the trainers feature a textured outsole for added grip.